4th & 5th October 2019 at Harrogate, North Yorkshire. 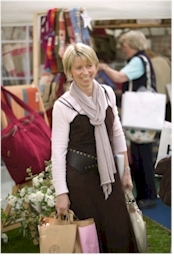 Now in its 15th year, the Harrogate Gift & Fashion Fair encompasses the latest fashions from the world's showrooms as well as a wide range of decorative accessories for the home and conservatory and gifts for friends and family. Choose from up-to-the-minute women's fashions and an array of accessories from belts and bags, lingerie and luxury knitwear, designer sunglasses and stylish shoes to delicious soaps, aromatic candles, brand-name furniture at half-price, conservatory accessories, gifts for girls and tons of ideas for teenagers. A restaurant will be serving hot and cold food and drinks. Free car parking on site.